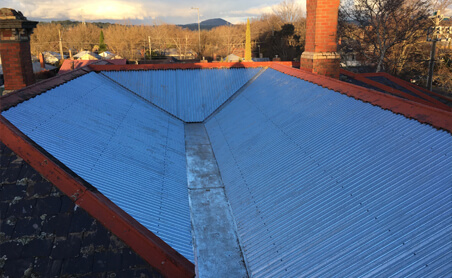 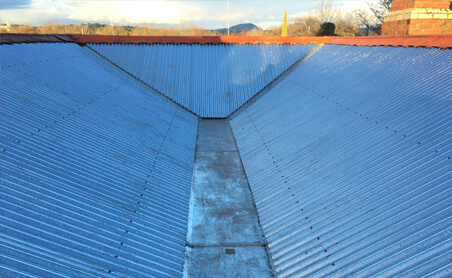 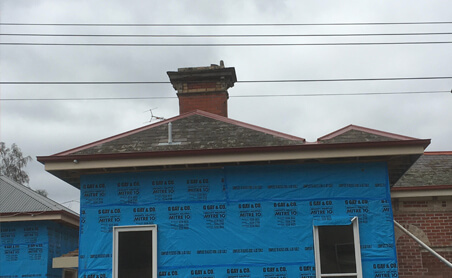 This project was a new extension coming off a heritage listed building. 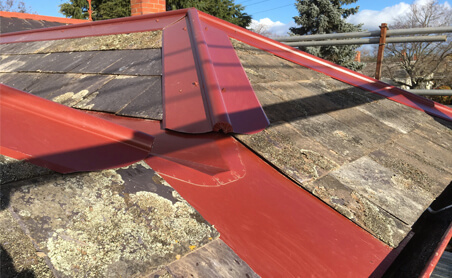 The new roof had to match the exciting roof, so we took the slate from part of the roof that could not be seen (internal box gutter) and applied them to the new extension. 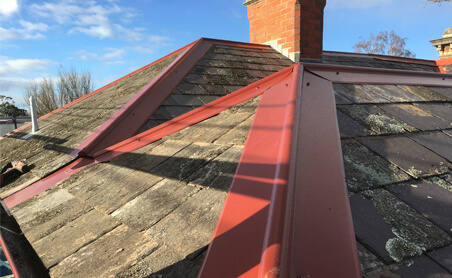 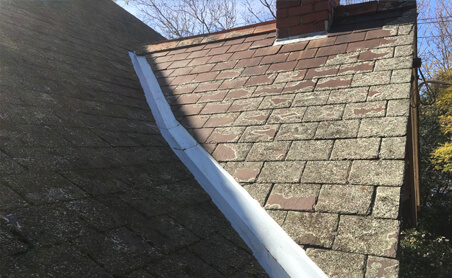 We also installed the new manor red box gutter and ridge capping, along with the new lead work to the chimney.